Edraw Max includes various clip arts. By illustrating all your professional and personal projects with this easy to use software, you will be able to personalize your business cards, greetings cards, header paper, menus, website and even more! 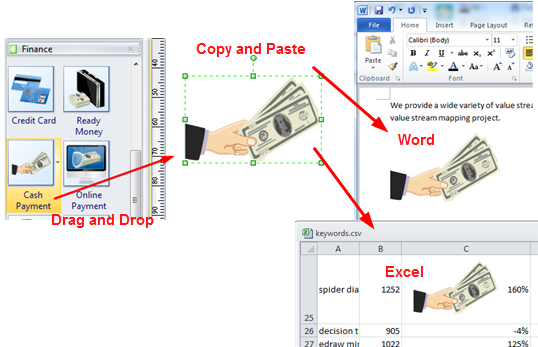 New launched roralty-free financial clip arts that you can use in your projects and web pages. They are in vector format, can be scaled up or down in size or change colors to fit different themes. Open Edraw. -> Choose Clip Art under File menu. 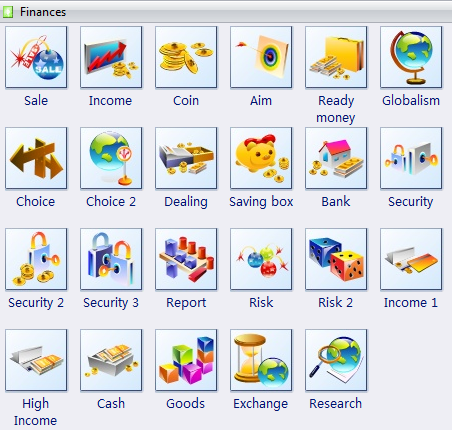 -> Double click Finance icon. -> Drag necessary shapes and drop them on the canvas. Note: 1. 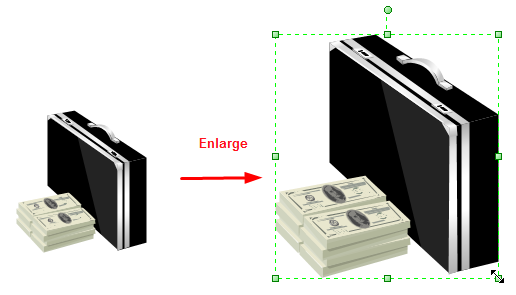 Our clip art is highly scalable. You can zoom it to any size you like and it still remains very clear. 2. 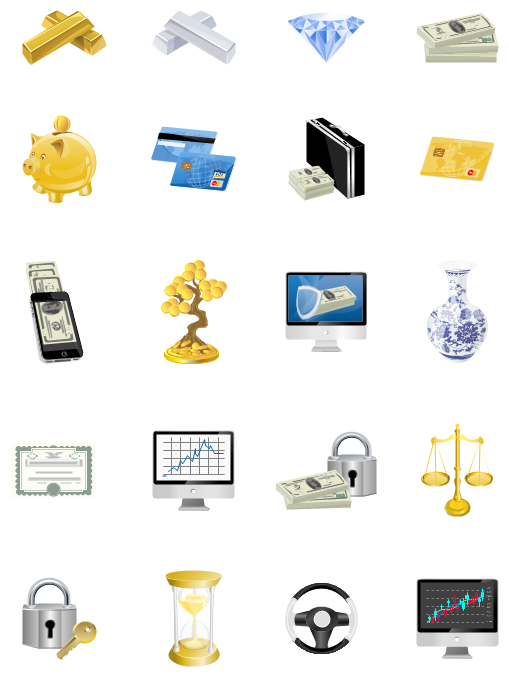 Our clip art can be ungrouped and used separately.